The fastest way to reach the phone application is from the main home screen. 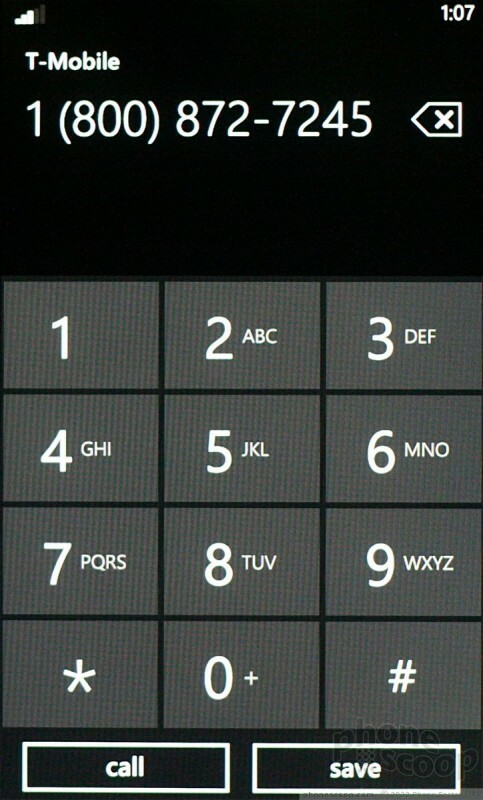 Press the Phone tile, and the call history is the first thing you'll see. 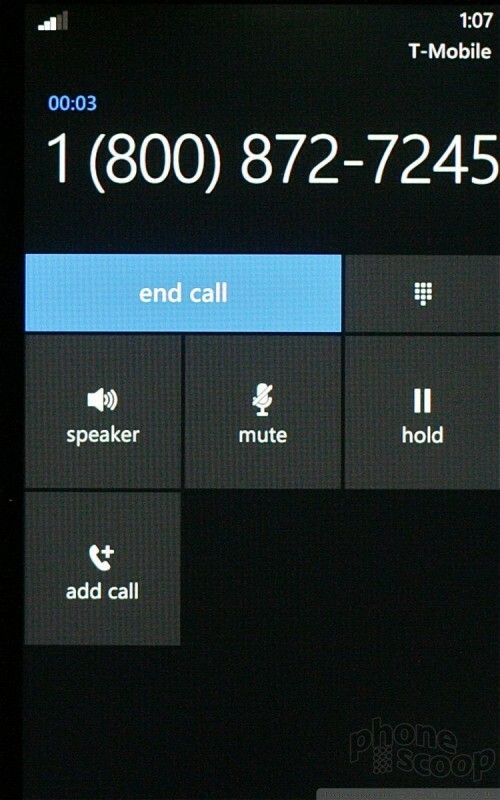 There are icons at the bottom that open the dialer, the People Hub or voicemail. You can also make calls from select apps, such as email or SMS by pressing phone numbers. After a call has connected, a small pull-down menu lets you do most of the expected things, such as add a call, put a call on hold or mute, or activate the speakerphone. 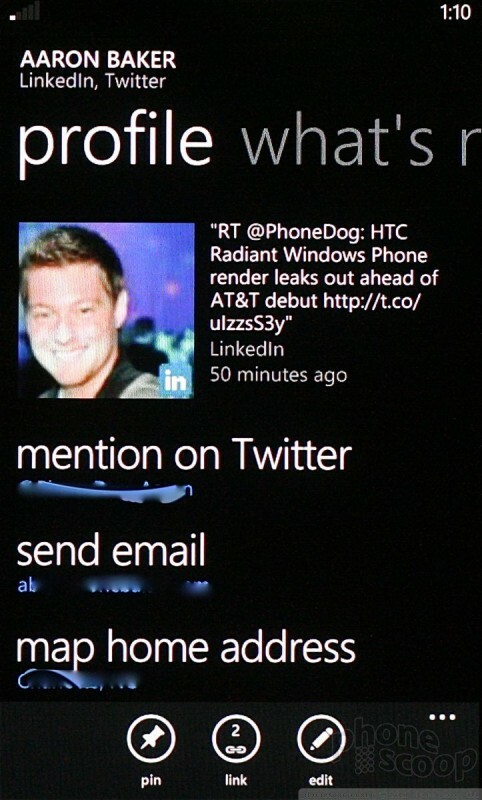 The People Hub is Microsoft's version of a contact application, and it is an essential part of the WP7 Mango experience. 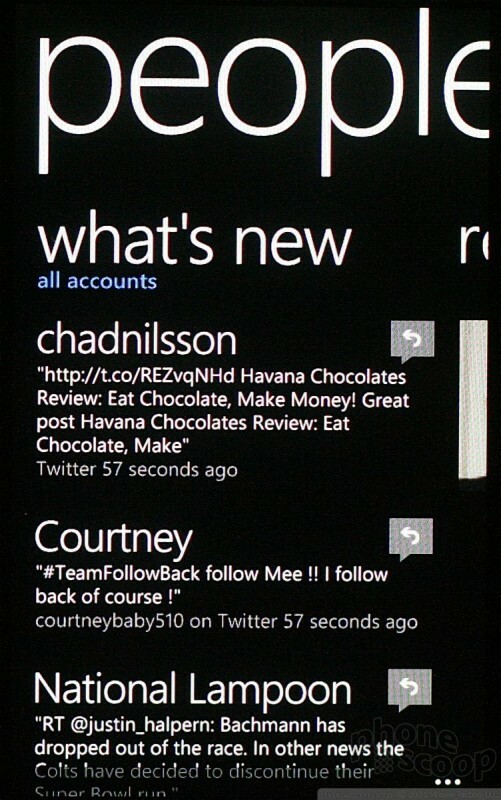 With Mango, Microsoft has fully integrated the People Hub with Facebook, Twitter, and LinkedIn. The main view in the People Hub is a huge list of all your contacts. Your most recent Facebook status appears at the top next to your avatar. There are two little buttons positioned at the bottom of the screen that allow you to search through your contacts or add a new one. Want to see what your contacts have been up to? Swipe the entire page to the left, and you see the "What's New" column. 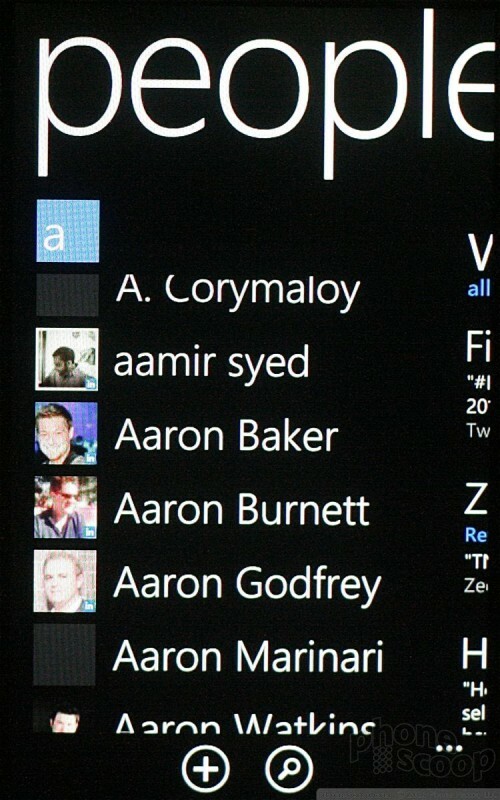 This is a list of the most recent status updates from your contacts. It updates regularly, so you can always get a quick idea of what your friends and family are doing. Each contact page holds plenty of information, including email addresses, numbers, street addresses, birthdays, web sites, and so on.